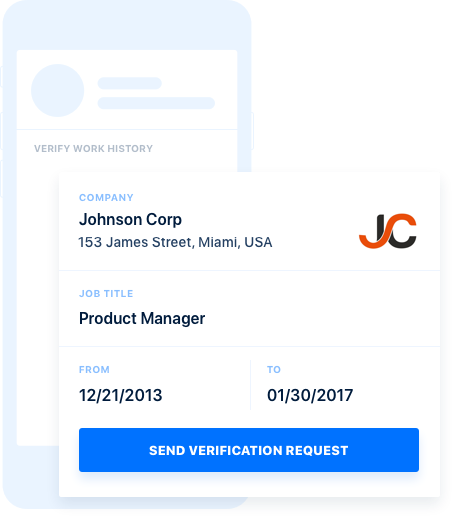 The Aversafe app lets you claim, update, edit and share your verified credentials with employers and peers, helping you build trust, land interviews, and speed up your time to hire. Aversafe’s data sharing feature lets share your verified work history and credentials with the push of a button. Aversafe lets you completely revoke an employer or third party’s access to your information at any time. Request verification of your personal information, work history and credential claims to build trust with future employers. 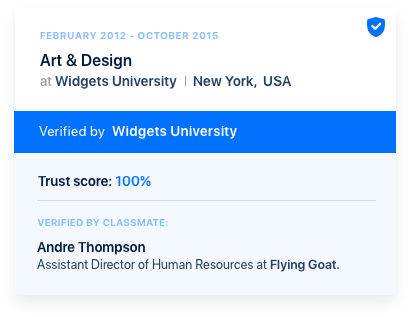 Verify a friend or former coworker’s claims or request verification of your own professional accomplishments. Simply prove your identity with a birthdate or student ID and you’ll be matched with your verifiable digital certificates. Verify your information to improve your Trust Score and dramatically improve your odds in the hiring process. Build your trusted profile and claim your digital credentials.